Highly efficient and removes large quantities of dirt: the user-friendly and easy-to-store yellow VC 2 (ERP) vacuum cleaner with dust bag. The VC 2 (ERP) vacuum cleaner from Kärcher combines efficient, eco-friendly cleaning performance with functional design. The device features a user-friendly dust bag system: full bags can be conveniently thrown out without coming into contact with dirt. With practical accessory storage, no accessory will ever go missing again. And thanks to its compact size, the yellow VC 2 fits perfectly into the modern family home. Other advantages include the HEPA 12 filter with minimal dust emission (ideal for allergy sufferers) and extremely low, family-friendly noise generation. 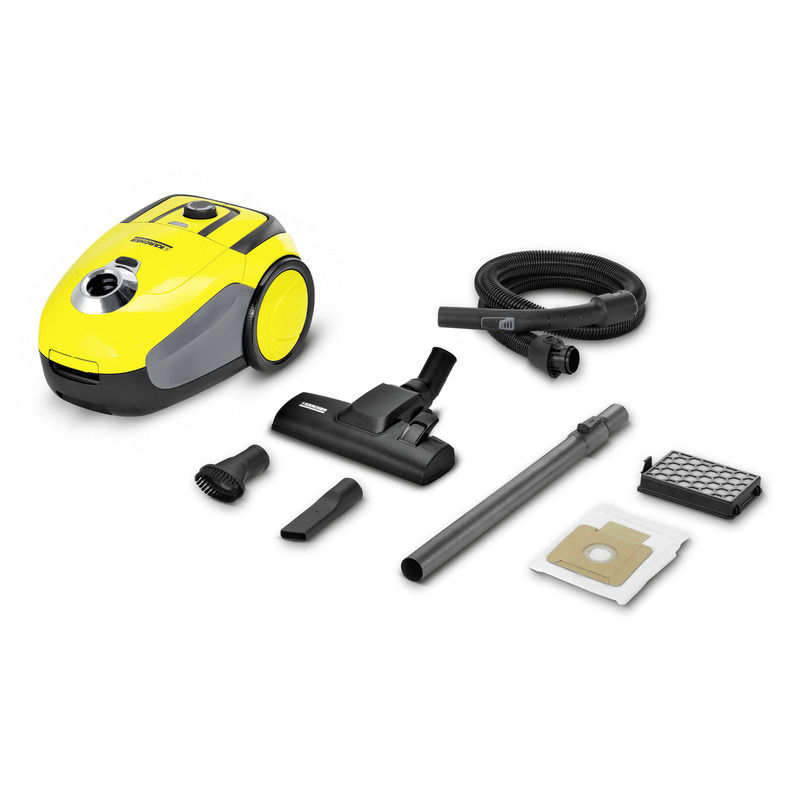 The yellow VC 2 is easy to operate for young and old alike and is ideal for thorough cleaning of floors and carpets, as well as narrow gaps, corners, edges and other hard-to-reach places.